The Chamber, Pulaski Tomorrow and Youth Leadership did a downtown clean up in June. The City, Archway and the Women’s Prison- developed a plan to get the existing prison detail more involved in the upkeep and maintenance of the Commerce Street area, including the eight irrigated flower beds and Cabero Park. The City and Archway have engaged the Master Gardeners of Central Ga to help us by telling us how best to landscape downtown and develop a sustainability plan for the future. They will also be assisting us with a design to make Cabero Park more usable and attractive. This is a current ongoing project. The Women’s Prison Detail has cleaned out the beds and with the help of the City of Hawkinsville public works department and removed everything that the Master Gardeners said we had managed to kill. This is also in accordance with gardening practices where fall would be a time to prepare for planting. Much of the soil had no nutrients and irrigation systems needed maintained. Dead plants and trees have been removed. In June of this year, Pulaski Tomorrow Class of 2015 raised over $2,600 for waste receptacles for downtown (I think some of the money is going to signage though). About a month ago, they agreed to purchase 6 containers. Ginger Lancaster is coordinating to get a status update on the order. The Hawkinsville Garden Club contributed $1,000 in September (to the Downtown Development Authority) for the purchase of supplies and materials for the Women’s Prison Detail to purchase gardening tools and plants, etc. In February, the new Master Gardener classes begin in Central Georgia. 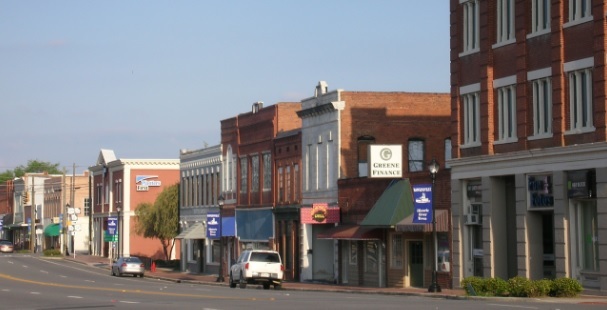 A component of the program is dedicated community service to one’s home county. The City of Hawkinsville has agreed that the City could fund the tuition for 4 or 5 local people ($195 each) to go through the program. These individuals would then use their community service hours to train and assist the women’s prison detail on the Commerce street project. This will provide sustainability for the project and valuable job skills training for the women that will improve their outlook upon release. Also, we applied for (City, Chamber) but did not receive a TPD grant to restore the Way and Way mural and create 2 more. We could reapply next year. So, yes, as people have indicated, the downtown area needs improvement, but the improvements ARE UNDER WAY. The city has limited resources and often we have to neglect one area in order to work on other areas. Each year we change the areas that we are focusing on (again, due to limited resources). But we ARE focusing currently on improving the looks of our downtown area.